Sandi's Rec: A wonderful read about a lost child who helps a woman come to terms with her own painful childhood. 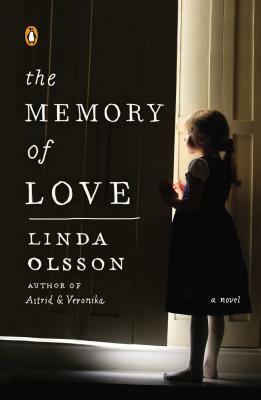 Fans of Astrid & Veronika and Chris Cleave's Little Bee will be thrilled to read Linda Olsson's third novel. Here is Olsson doing what she does best: illuminating the terrain of friendship and examining the many forms that love can take. Linda Olsson was born in Stockholm, Sweden, in 1948. She graduated from the University of Stockholm with a law degree, and worked in law and finance until she left Sweden in 1986. What was intended as a three-year posting to Kenya then became a tour of the world with stops in Singapore, the U.K., and Japan, until she settled in New Zealand with her family in 1990. In 1993 she completed a bachelor of arts in English and German literature at Victoria University of Wellington. In 2003 she won the Sunday Star-Times Short Story Competition. Linda's first novel Astrid & Veronika became an international success, selling hundreds of thousands of copies in Scandinavia, Europe and the United States. It was followed by the heartbreaking and moving Sonata for Miriam. Olsson divides her time between Auckland, New Zealand and Stockholm, Sweden.